Whenever I hear someone talking about how hard they’re working on getting cut abs or killer shoulders, I always think of the trainers working with those folks. I mean, I totally understand that it’s tempting to really just focus on those mirror muscles — you know, the ones you tend to see when you look in the mirror — but if you’re going for overall health and not just a really hot sweaty selfie, you’ve gotta work the whole body. And if you’re the trainer working with somebody who’s laser focused on one body part, how do you convince them to embrace a full-body workout? He explained the importance of keeping your workouts symmetrical, so if someone comes in really wanting an ab workout, he makes sure to work their lower back as well. And he also suggested learning to embrace the full-body moves that everybody loves to hate: burpees and Turkish get-ups. Good point. The things that are difficult are usually the things we need to work on. I like to follow a program or use a trainer for that very reason. I like Reggie’s advice–give them what they want, then give what they need. Sounds like he has great coaching skills. 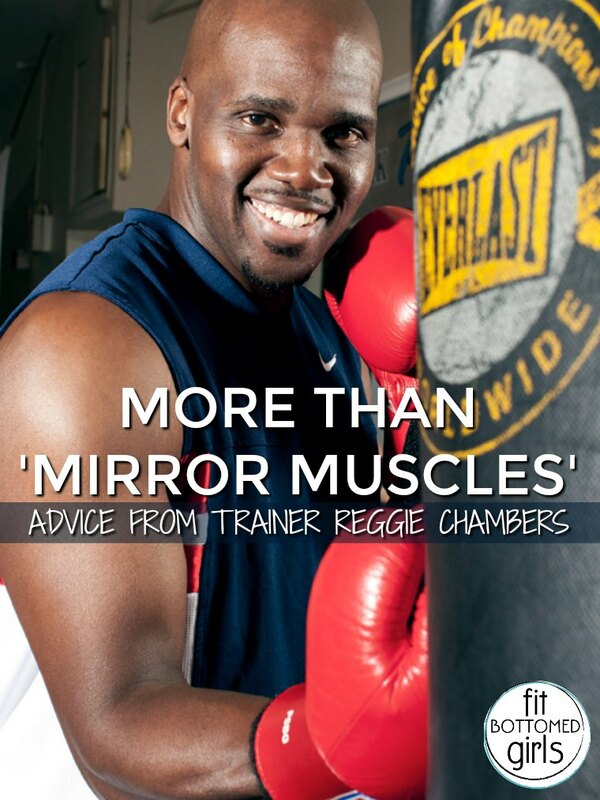 Reggie Chambers is a legend!